Edison Place, the newest independent living building, opened last week at Fox Run of Novi, a senior living community developed and managed by Erickson Living. Home values in Fox Run’s primary market area have increased 15 percent over the last three years. 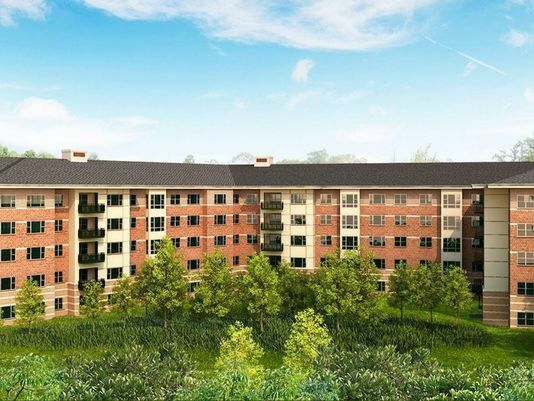 Nearly 50 percent of the apartment homes in Edison Place have already been sold. The building features 96 units with a mix of 16 different floor plans, including a combination of one-bedroom, one-bedroom with den, two-bedroom and two-bedroom with den apartments. These maintenance-free designs boast high-end features and finishes, including open layouts, granite counter tops and stainless steel appliances. In addition to brand-new apartment homes, residents can enjoy Kern’s Corner, a 1,100-square-foot residential lounge with wet bar, kitchenette, seating and communal tables for gathering with neighbors and friends. This location is named to pay homage to the iconic Kern’s Clock in downtown Detroit. To pay further tribute, residents in Fox Run’s woodshop are planning to craft a replica clock to play in Kern’s Corner. Edison Place also offers residents a complimentary shuttle service that will take residents to any of the three clubhouses and other on-campus amenities. The project architect is Lantz-Boggio Architects, while Brinkmann Constructors served as the general contractor. This summer marks the 15th anniversary for Fox Run, situated on a 108-acre campus in Novi. The community is home to nearly 1,300 residents who are supported by a team of more than 750 employees. For more go to FoxRunNovi.com.